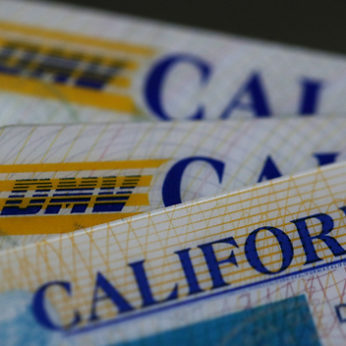 The DMV will suspend you driver’s license from four months to four years depending on priors and other aggravating facts unless you take immediate action! You need a skilled and experienced attorney who specializes in DUI Defense to help you avoid or minimize the loss of your privilege to drive. An Attorney who specializes in DUI Defense can also guide you through the process in ways that will reduce any suspension imposed by 50-75%. If you are going to hire an attorney, do so prior to contacting DMV. Your attorney will be able to push your hearing date back, to ensure that you are prepared for your DMV case. Furthermore, your attorney will need to coordinate your hearing date with your defense in Court. If you are approaching the 10 day limit, call the DMV immediately to request an in-person hearing and advise them that your attorney will be contacting them to set up a date. Request a stay and take note of the person you speak with. You must request a hearing through a Driver Safety Office; do not call a DMV Field Office. If you make a timely request, the suspension of your license will be stayed until the final determination of your case by the DMV. A Hearing will be scheduled before a DMV Hearing Officer who is an employee of the DMV. This Hearing Officer serves as both prosecutor and judge and is not a judicial officer or even a lawyer. An experienced DUI Defense Lawyer will know how to obtain the necessary documents, reports, video’s and evidence concerning your blood or breath tests to properly prepare your case to challenge your suspension. Your Lawyer will be able to challenge the sufficiency of the DMV’s documentary evidence and present evidence on your behalf to challenge your detention and arrest and the validity of the chemical test results. 1. The issues before the DMV in an Administrative Per Se Hearing are: The the peace office have reasonable cause to believe that the licensee was driving a motor vehicle in violation of Vehicle Code §§23152, 23153, 23156 or 23140. DMV CASES CAN BE WON. He forced the D.M.V. to announce that they would cancel 4,700 drunk driving suspensions after exposing the OC Crime Lab’s use of unapproved breath testing machines (Trautman v DMV). He exposed the O.C. Crime Lab’s use of unapproved Blood Testing methods between 1996 – 2002 (Bite v Gourley) invalidating blood test suspensions for all of his clients during that entire period. He followed with Baker v Gourley which established the rule that DMV can’t rely on police opinions of intoxication to suspend drivers’ licenses. His class action suit against the entire Irvine Police Department for failing to give DUI arrestees a choice between blood/breath and urine tests resulted in the decision in Nelson v. City of Irvine. You also have the RIGHT TO APPEAL a decision against you to a REAL JUDGE. CAN I DRIVE WITH THE PINK TEMPORARY LICENSE? The pink temporary license advises you that your license will be suspended 30 days after your arrest unless you request a Hearing with the DMV within 10 calendar days of your arrest and request a stay of the suspension. Once you request the Hearing, you can drive until the final determination of your DMV Hearing. If your license is suspended for some other reason you must clear that suspension in order to drive. If you can’t, requesting a stay will only prolong the term of your suspension. If you successfully challenge the suspension, the DMV will issue you a reinstatement order which you can bring to a field office and get a no fee license. If your suspension is upheld, you can get your license back on a restricted basis after your minimum suspension period is over if you enroll in an authorized alcohol program, file an SR22 proof of insurance form and pay a reinstatement fee to the DMV. If you are an adult multiple offender, who was not charged as a refusal, you may be qualified for an early termination of your suspension by installing an ignition interlock device on your car if your offense only involved alcohol. Your attorney will schedule your Hearing with the DMV within approximately 4-6 weeks. You have a right to an in person hearing at the DMV. Your attorney will then request initial discovery from the DMV which normally would include all of the evidence that the DMV will rely upon in their case in chief. This typically consists of police reports, lab reports and any other evidence that the DMV will use in the presentation of your case. An attorney who specializes in DUI defense will also issue subpoenas to obtain additional evidence such as video tapes of your contact with the police; audio tapes of any relevant 911 calls; calibration and repair records for the devices used to test your alcohol level. After reviewing all of the scientific evidence, your DUI lawyer may make a decision to either hire an expert witness or subpoena the government’s expert to challenge the chemical test in your case. Remember that DMV hearings do not have judges or prosecutors. The Hearing Officer is not an attorney. The Hearings are recorded and transcripts of testimony can be made. As a result, specialized DUI Lawyers can develop important issues at these hearings which could help you in your Court case. I WAS OVER O.O8% – CAN I STILL CHALLENGE MY SUSPENSION? The DMV is required to establish that you drove a motor vehicle with a blood alcohol level of 0.08% or above. This determination is based on your level at the time of driving and not the time of the test. If you had recently consumed the alcohol, it is not in your blood system or affecting your central nervous system. The absorption, distribution and elimination of alcohol in the human body is a dynamic process which ranges on average from 45 minutes to over 2 ½ hours from the time of your last drink. An experienced DUI Lawyer can help to establish that your blood alcohol level was rising at the time that you were stopped by the police and that your true blood alcohol level was in fact below 0.08% at the time of driving even if your test results were above the 0.08% threshold. In addition to the rising blood alcohol defense, an experienced DUI Lawyer can challenge the calibrations of the devices used to test your alcohol level and establish margins of error that can bring a blood alcohol result below the 0.08% level that the DMV must establish in order to suspend a driver’s license. A properly trained DUI Lawyer can also challenge any failure to comply with Title 17 of the California Code of Regulations for forensic alcohol testing and establish the unreliability of the test results. If the department determines that any of those facts were not proven by the preponderance of the evidence, the department shall rescind the order of suspension or revocation and, provided that the person is otherwise eligible, return or reissue the person’s driver’s license pursuant to CVC §13551. If the DMV intends to aggravate the length of the suspension order based on a prior conviction or administrative action with offense dates within ten years, then the existence of the prior conviction or administrative action must also be proven by the DMV. CVC §13353.3. When the person had a 0.08 percent or higher BAC. When the person was under 21 and had a 0.01 percent or higher BAC, as measured by a preliminary alcohol screening test, or other chemical test’ CVC §13558(c)(2) and 13557(b)(2). The person was on DUI probation and had a 0.01% or higher BAC as measured by a preliminary alcohol screening test or other chemical test. The person refused or failed to complete the chemical test or tests after being requested to do so by a peace officer. CVC §13558(c)(1). Barry T. Simons has specialized in DUI Defense for over 40 years. He is the Author of “California Drunk Driving Law” which is considered “The Bible of DUI Defense” and is one of only (6) attorneys in California who holds Board Certification for DUI Defense under ABA Standards. He has been selected as a “SuperLawyer” for DUI Defense (7) times through 2017.